Welcome to Day 2 of the TGF March Previews. Today we are previewing another Dollie which you may have seen before in digi version but now she is in all her glory in rubber! 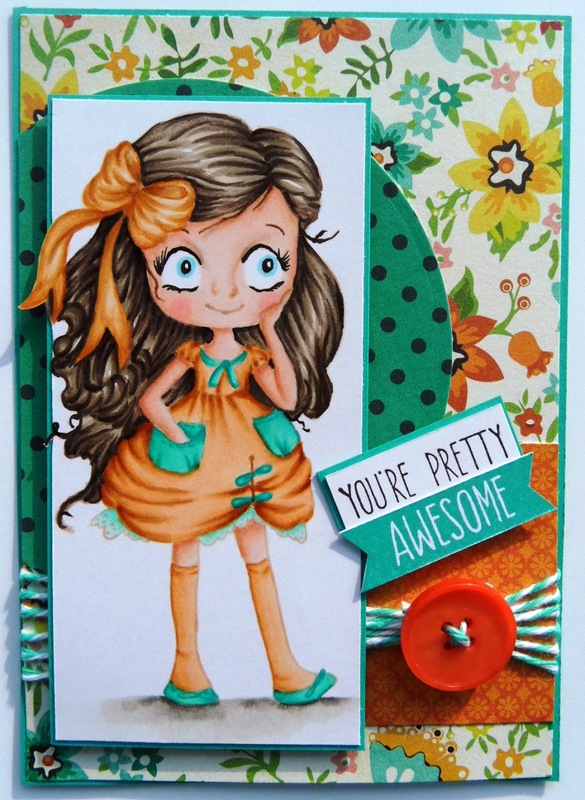 Dollie with a Bow comes with some cute sentiments and the oh so cute little dog image. 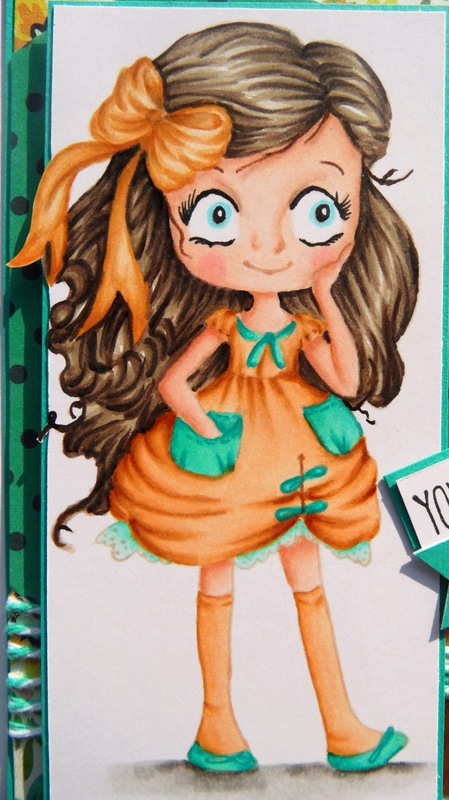 I coloured Dollie using the no line technique so she is stamped with Memento - Desert Sand Ink. Then coloured with copic markers and I used prismacolor pencils for some highlights. She was so much fun to colour in, I will be inking her up again very soon!! The patterned paper I used was from Crate Paper 6x6 pad - Farmhouse. And here is a close up of the coloured image. "Dollie with a Bow" will be released at The Greeting Farm shop on 1 March 2014. Please check out TGF Blog to see all the other DT's fab creations. Each day we are giving away the preview stamp so makr sure you visit the blog and leave comments each day. This stamp set can be yours. Be sure to leave some blog love for all the DTs posts. she’s super cute . Love the colors too. I really need to try the no line technique. Stunning job on it. Thanks for sharing. Your card is so cute. I just started coloring with copics, and I am loving it. Oh my goodness!!! Beautiful card!!! This image is absolutely adorable!! That no line coloring!!! Wow!!! It is amazing!!! Great job!!! TGF - March Preview - Day 1! !